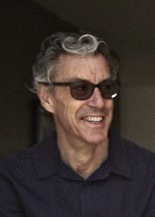 Dr David Jacka was appointed Addiction Medicine Specialist at Monash Health in early 2013. He has worked in the area of public health for many years and in Alcohol and Illicit Drug misuse and Harm Reduction since 1993. Between 2006 and 2012 he worked with the World Health Organization as a drug treatment specialist and advisor on HIV prevention programming for IDU and other risk groups in Indonesia, Myanmar, Cambodia and Viet Nam. He has assisted development of guidelines and training materials on assessment and treatment for users of illicit drugs including heroin and methamphetamine in the Asian Region and developed many bilingual materials for heroin and methamphetamine Harm Reduction, HIV Testing and Counselling and Methadone Maintenance Treatment. His interests at Monash Health have already taken him into areas of acute illicit stimulant intoxication, improved methadone, buprenorphine and other opiate prescribing and the development of improved health and NSP services for people who inject drugs.